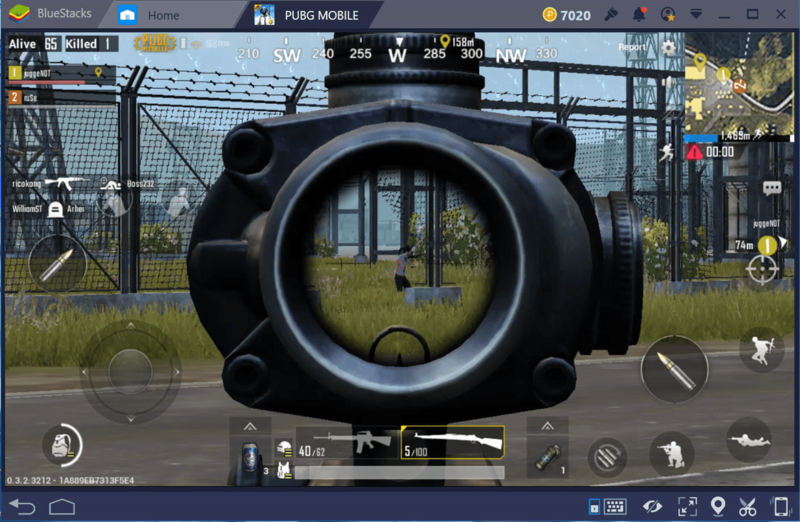 Want to master the sniper in PUBG Mobile? Take a read through this guide to learn the tips and tricks you need to know to be able to find and use snipers effectively. This guide will cover everything from how to find snipers and suitable long-range scopes, to how to use them to take down enemies. 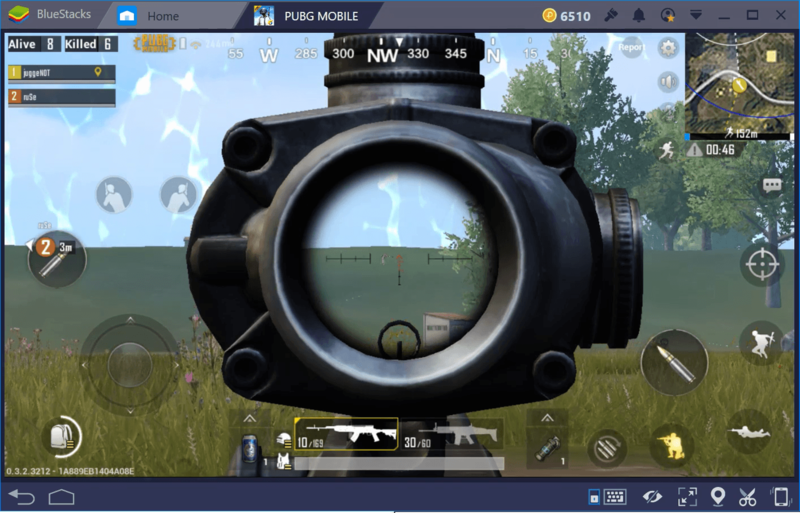 Make sure you read through the entirety of this guide so that you know how to use the snipers like a true PUBG Mobile master player. Before we can explain how to use snipers, we must first cover how you can actually find them. In PUBG, snipers are extremely rare, so sometimes it’ll come down to accepting that you may have to play some games without such a weapon. To have a better chance to find a sniper, make sure to pick the right places to land. In the image provided above, the best landing spots for finding a sniper are located. 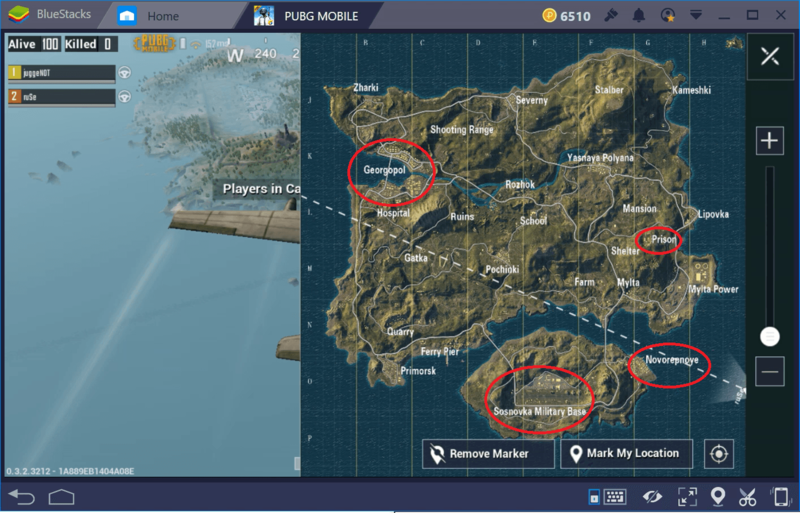 These spots are military areas – all of these areas have a higher chance to spawn Kar98K’s, 4x scopes, and 8x scopes. 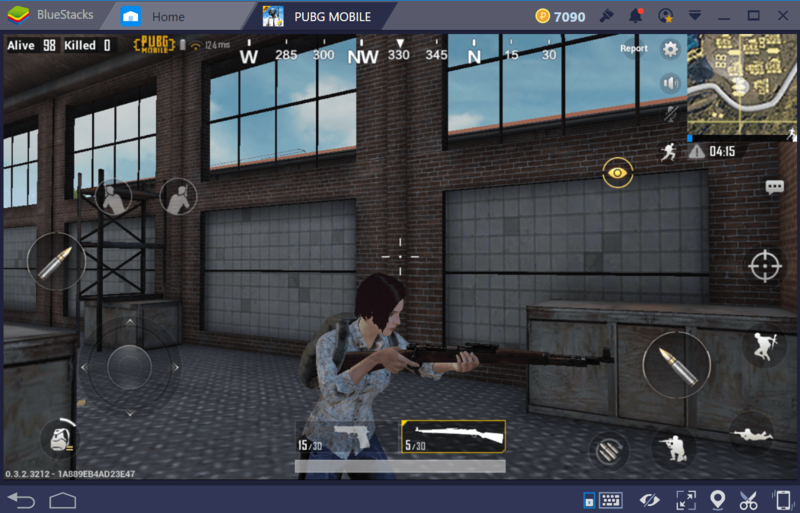 You can read BlueStacks Guides on Best Places to Land in PUBG Mobile and How to Survive Military Base here to help you do better in this part. Make sure to be careful when landing at either of these locations, however. They are usually contested by many other players that are hoping to get high value loot just like you. Keep in mind that whilst these spots will give you the best chance to find a Kar98K, they certainly won’t guarantee it. Other spots on the map also have a chance to spawn a sniper, but the chance is far less likely. The Kar98K is actually the weakest sniper in the game. If you want to get your hands on a more powerful sniper, you’ll need to find it in an airdrop. Airdrops will be dropped onto the map occasionally throughout the game. Listen out for the sound of a plane engine – when you hear a plane, you’ll know that an airdrop is on the way. If you look up into the sky, you’ll be able to follow the plane path. Eventually, an airdrop crate will be dropped into the air. When an airdrop lands, it’ll be marked with a red flare for a short time – keep an eye out for that when trying to locate the airdrop crate. Finally, remember that other players will be interested in the crate too. Pay attention to your surroundings and look out for other players before you go straight for the crate. The airdrop crate will always have a weapon inside, but sometimes it won’t be a sniper. The two snipers, the M24 and the AWM, are the rarest airdrop items. You can also find an AUG assault rifle, a Groza assault rifle, an M249 and an MK14 DMR. If you can get your hands on a sniper, the next step is to learn how to use them effectively. 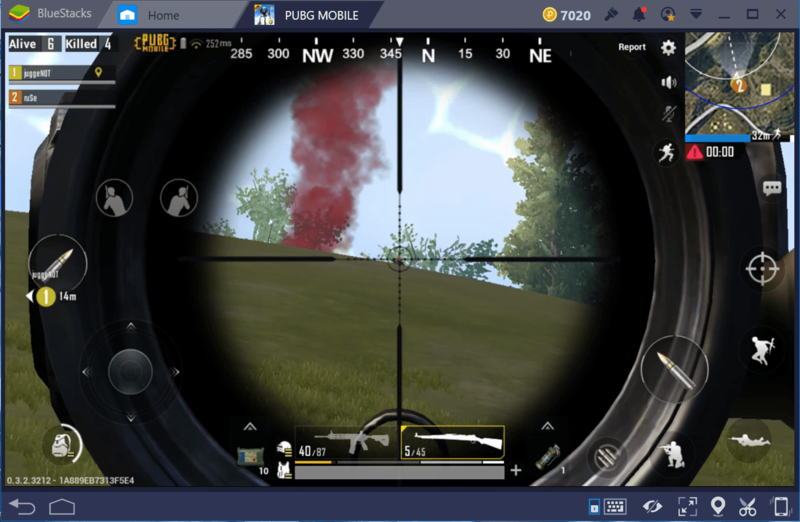 In this section, we’ve provided all of the best tips and pointers you could need to learn more about snipers and how to use them in PUBG Mobile. All weapons in PUBG have bullet drop. When you fire, the bullet will slowly start to drop down. If you’re within 100 meters, you won’t notice any bullet drop, but any further and you’ll start to notice it. Because snipers are usually used at long distances, you’ll most often notice bullet drop on snipers. There are a few things to consider when using a sniper. Firstly, each small white tile on the map is 100 meters. Secondly, each scope will have different markings for different distances. You must calculate the distance by looking at the map and then aim at the player using the correct marking. As an example, the 4x scope has markings for 4 and 6. These are for 400 meters and 600 meters. The notch in between the 4 and 6 is 500 meters. The top of the triangle is 100 meters, and the bottom of the triangle is 300 meters. As you can see, the bullet drop doesn’t really come into play until much longer distances. However, the difference between 100 meters at further distances is much more noticeable at longer distances. In nearly all cases, one sniper hit will not kill a player. Here’s a look at the damage information you must remember. If you shoot a player with a sniper and they don’t die, you should consider switching to your assault rifle, especially if they are within 200 meters. It’s quicker to switch to your assault rifle and finish off a player with 1 or 2 bullets than it is to wait for your character to load another shot into your sniper and zoom in again. If you shoot a player and you miss, you can still keep using your sniper. 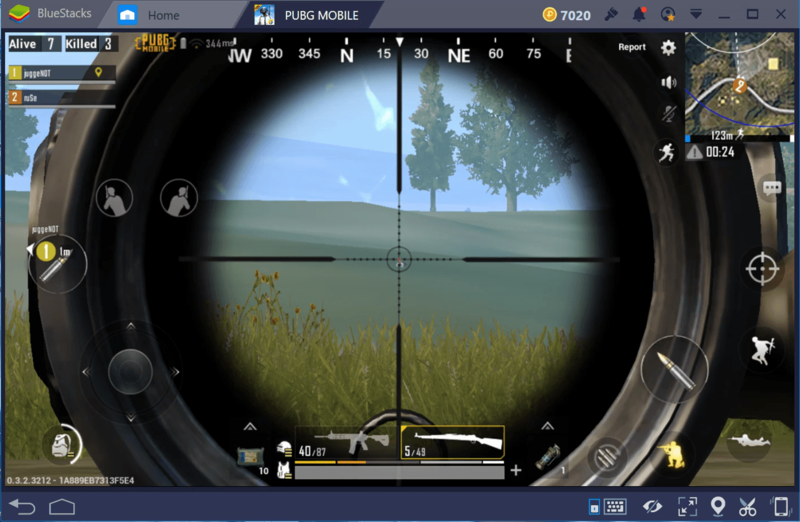 The main objective of using a sniper in PUBG Mobile is to lower their health enough so that you or your teammates can finish off the kill with 1 or 2 assault rifle hits. 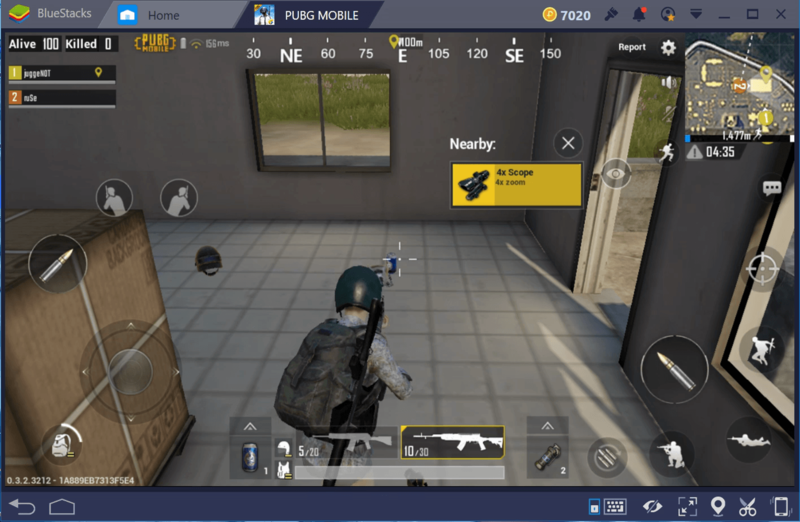 We hope this guide has helped you to learn more about using snipers in PUBG Mobile. Let us know if you have any questions about PUBG snipers. 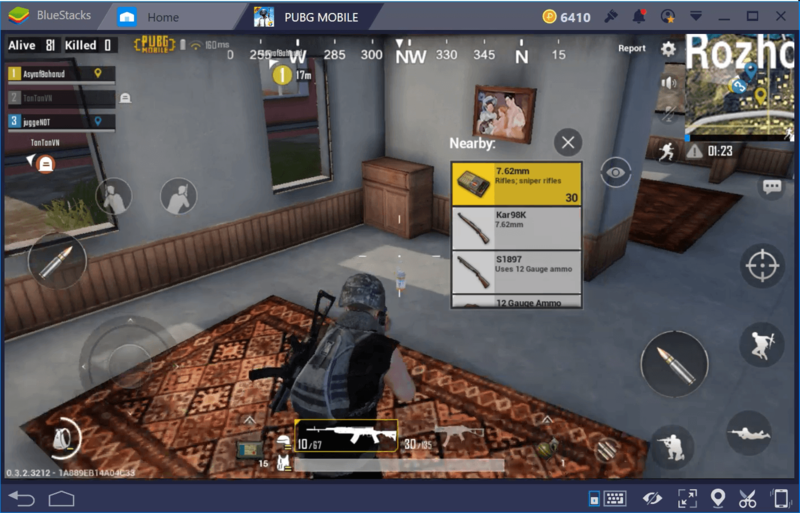 Download PUBG Mobile on Bluestacks Now!